The HELICAL Flexure is an advanced and unique u-joint solution that generally exceeds the capabilities of common u-joint designs. A Helical u-joint is really a Flexure capable of over 5° angular misalignment. It may accommodate up to 90° of angular misalignment in certain circumstances. 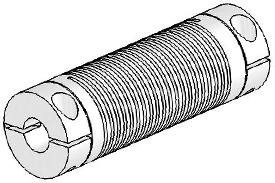 The Helical Flexible Shaft Coupling U-Joint, Aluminum will also compensate for axial and parallel misalignment. Replacement with a maintenance free Helical Flexure u-joint can save money, both on initial purchase price and on maintenance costs. Hubs and HELI-CAL FLEXURE are made from a single piece of material. Helical Flexible Shaft Coupling U-Joint, Aluminums feature no backlash and no lubrication is required. Shock or Reversing: 20 lb/in. The Helical UJ7C125-90-12-12 Flexible Shaft Coupling U-Joint, Aluminum is one of thousands of quality tooling products available from MRO Tools. 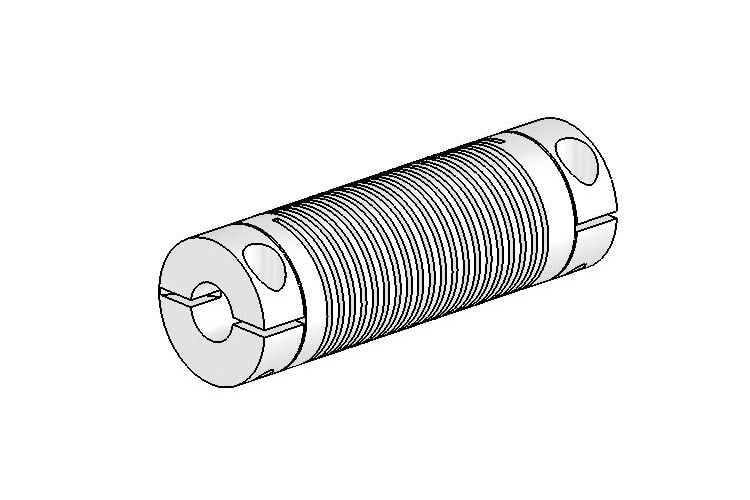 Please browse Helical Flexible Shaft Coupling U-Joints, Aluminum for tools similar to the Helical UJ7C125-90-12-12 Flexible Shaft Coupling U-Joint, Aluminum. Helical UJ7C125-90-12-12 Flexible Shaft Coupling U-Joint, Aluminum description summary: Helical Flexible Shaft Coupling U-Joint, Aluminum. Bore Size A: .500in Bore Size B: .500in MAX Shaft Pen. A1 Type: 0.56 MAX Shaft Pen. A2 Type: 0.56 Momentary Dynamic Torque: 81 lb/in. Angular Mis. : Up To 90 Degrees Quantity discounts may be available for the Helical UJ7C125-90-12-12 Flexible Shaft Coupling U-Joint, Aluminum. Please contact MRO Tools for details.